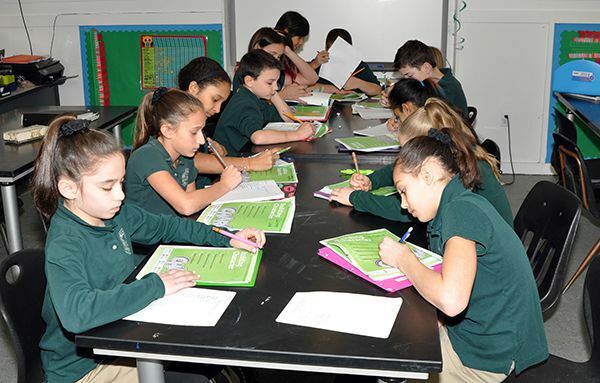 It is in fifth grade that students first encounter subject specific classes by academic specialization. Contrary to popular belief, Middle School students’ need for personal attention to their developing stages of growth does not vanish upon entering 5th grade. Pre-adolescents require an educational setting which builds on their prior knowledge and experiences and transitions them to higher levels of cognitive ability, social functioning and emotional, and ethical development. What your student will encounter at Ivy League Middle School is extraordinary access to a cadre of remarkable teachers who have the time, inclination and ability to understand your child’s quest for growing independence, and need to build self-esteem, within a safe school environment. Our teachers are excellent role models who provide students with the academic tools for function optimally, increasing their motivation to learn and guiding students as they work toward accomplishing realistic goals. Academically, our flexible school program, and small class size allows us to delve into and draw out deeper levels of understanding of what students are learning. We have more time to spend with your student, individualizing lessons and guiding independent studies. Because there are not 28 to 30 students in an overcrowded classroom competing for the teacher’s attention or students who are thoroughly disengaged, we can employ deeper learning practices within our rigorous Middle School curriculum. As students engage with subject matter, they are taught to take notes, study from textbooks, and develop solid study habits and time management skills. Beyond the essential subject matter curriculum, we work toward increasing your young adolescent’s capacity for abstract thinking, reasoning and independent thought. Our students continue to be our most vital concern. While other middle schools are forced to focus on meeting state standards and boosting test scores, at Ivy League we are able to keep creative expression and independent studies as part of our curriculum. We encourage and find time for students to interact constructively, express themselves creatively, and plan enriching independent studies as they are ready. At Ivy League Middle School, you can be sure that your young adolescent will never get swept up in a crowd or lose interest in learning. 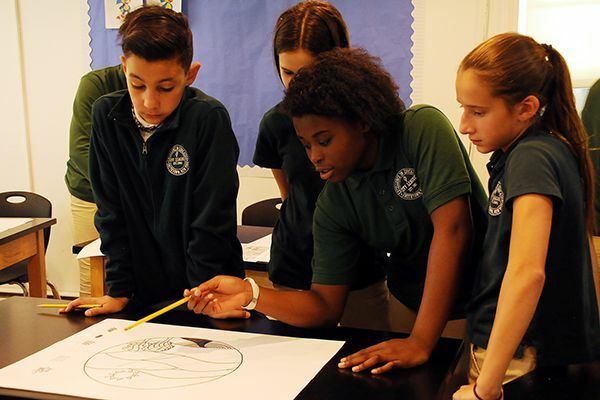 Because Ivy League classes are small, our skilled middle school teachers can take the time to build a personal connection with each student and quickly establish an academic mindset. Our faculty relates personally to each student and provides the guidance and structure necessary for each to succeed academically and socially. 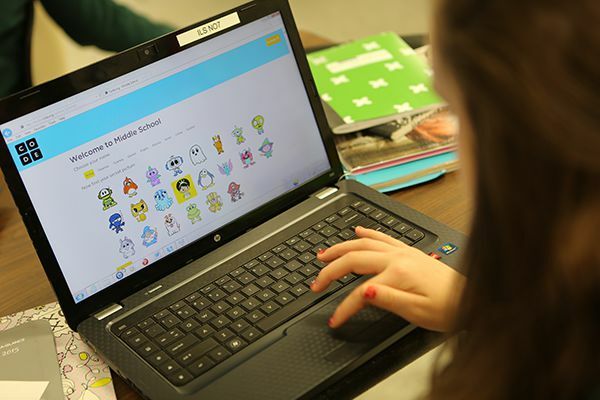 At Ivy League Middle School, students advance through each subject, primed to master progressively challenging curriculum and learn increasingly difficult subject matter. Each student’s power to reason, think critically, write analytically, make aesthetic judgments and expand their knowledge of the world, all grow exponentially. We delve into and draw out deeper levels of understanding and relevant applications of what is being learned to make sure your pre-adolescent understands what is being taught and does not get overwhelmed in an impersonal, over-crowded classroom. As a parent, you can be sure we will keep you regularly informed regarding your youngster’s academic progress, assignments, test grades and character development.